Georgians pride themselves with centuries old traditions of winemaking. Archeologists date roots of cultivated grapevine back from 8,000 years ago. So we like to believe that this is where wine production first began - Wine culture being almost inseparable from country’s national identity. But when it comes to bottled wines, mmm, there is not much to show off. Most of the mainstream brands appeal to the tradition, but cannot compete with homemade and draft wines. 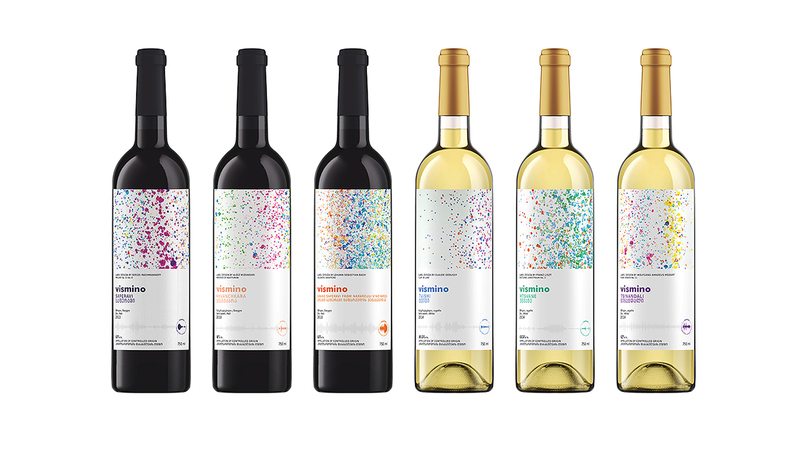 That’s why, when GWS – leading wine producing company decided to launch new wine brand of 14 different varieties, we were faced with a challenge of establishing the tradition of consuming modern bottled wine. So, we decided to create a modern urban legend. Loudspeakers, Colors and Sounds of Music. 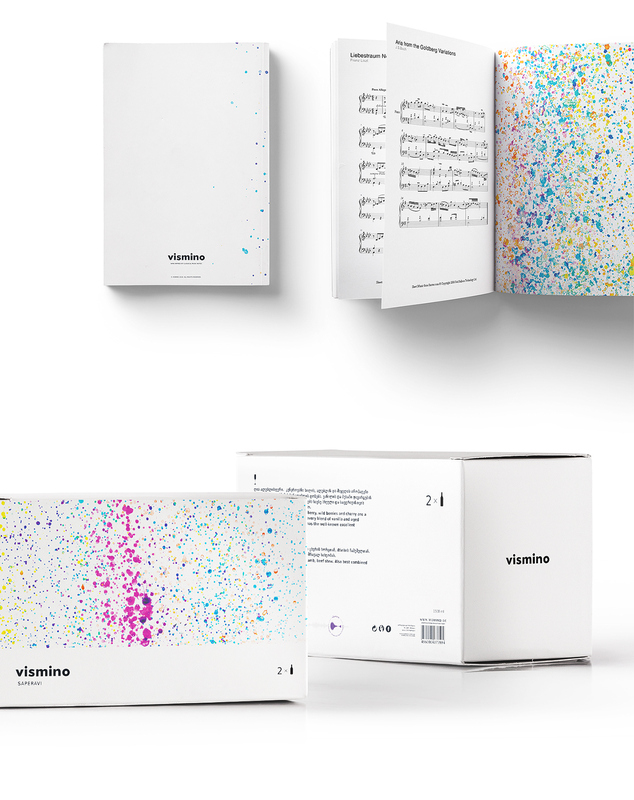 Every wine variety has its own character – we started our thinking from this simple notion and went through studying scientific theories of Newton, Goethe, and finally, Scriabin to launch "vismino" with a unique experiment. The name “vismino” is translated to “have to listen” from Georgian, perfectly transmitting the essence of the brand, and inviting all ‘listeners’ to enjoy the experience. We transformed an ordinary piano into "the labelmaker". 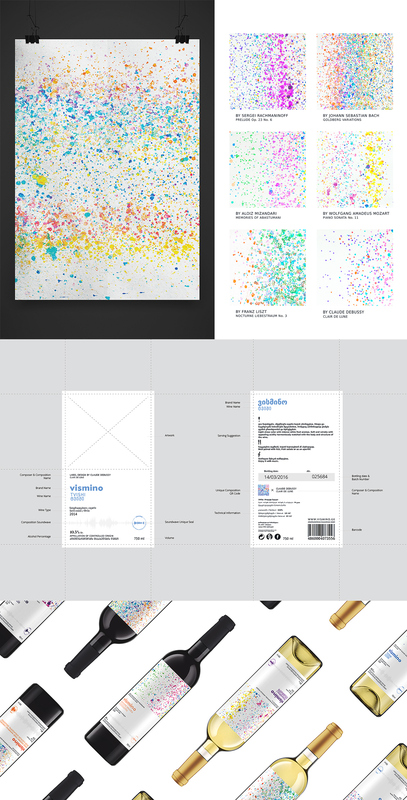 We placed the artwork on the label to serve as the main visual identity of the brand. 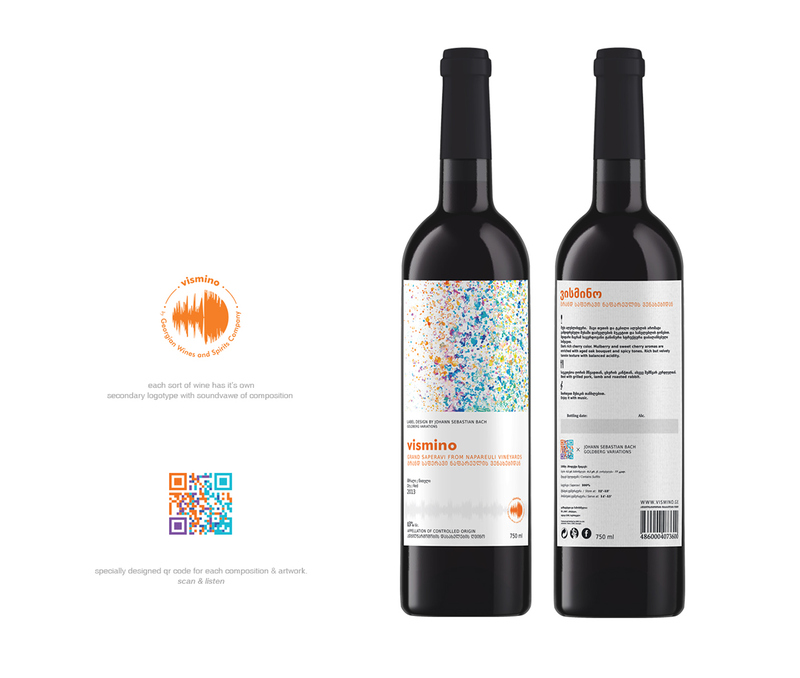 "vismino" graphic mark is used as the brand logo, while each label also features additional graphic elements in shape of an unique sound waves, and QR codes, matching their respective music piece. Account Manager — Tamar Tsintsadze. Creative Directors — Vato Kavtaradze & Bibi Asatiani. Copywriters — Nino Gordeladze & Beqa Meparishvili. 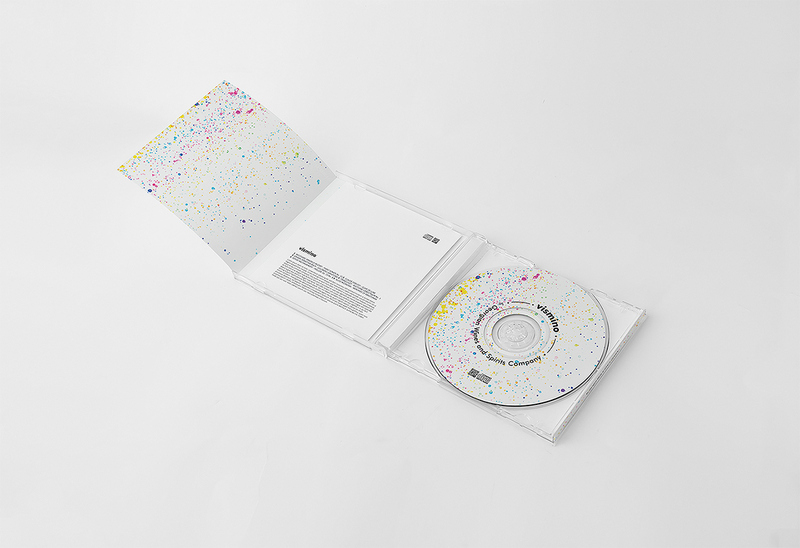 Art Direction — Zakharia, Matasi Sulakauri & Nika Machaidze. Graphic Designers — Zakharia & Ruslan Beridze.